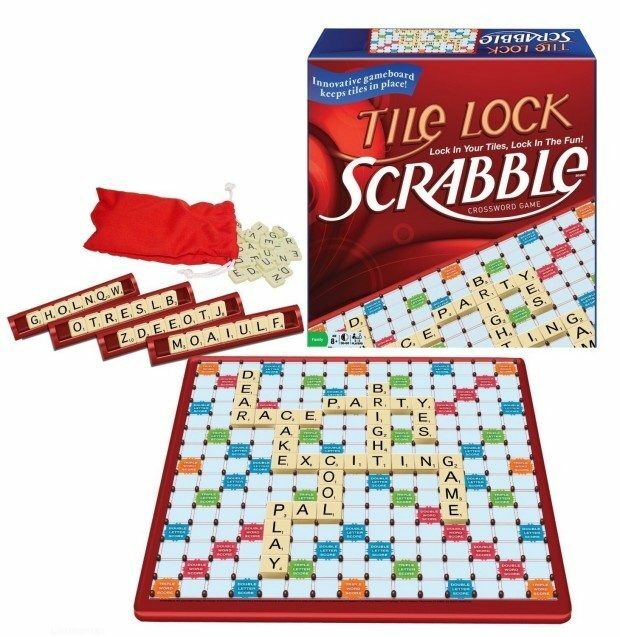 Tile Lock Scrabble Only $7.98! You are here: Home / Great Deals / Amazon Deals / Tile Lock Scrabble Only $7.98! Scrabble is my all time favorite game! I’ll play anytime or anywhere, the only problem is the tiles sliding around! That won’t happen with this version! Get Tile Lock Scrabble for Only $7.98 down from $19.99! FREE shipping for prime members or on orders over $35. Your Scrabble words won’t be slip slidin’ away, thanks to this board’s clever “tile-lock” design. There are also soft pads on its bottom that allow you to effortlessly slide the board across a table or rotate it for a better view. And, the compact size of the board, tiles and racks, make the game ideal for travel!